I have had the immese pleasure to see this in person as I have the distinct honor of it being mine. ALL MINE! It's even better in person, if you can believe that. She's really been knocking them out of the park, so many beautiful pieces. 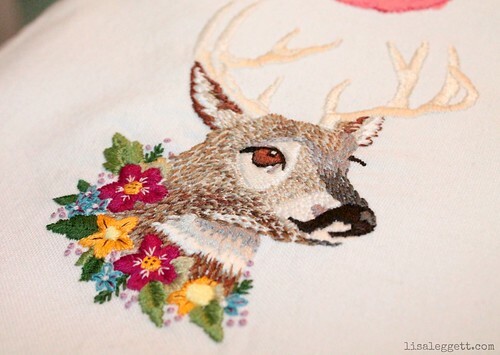 The blending of the fur and stitching of the antlers and flowers on this one are perfect. I am in awe of the back of this piece! 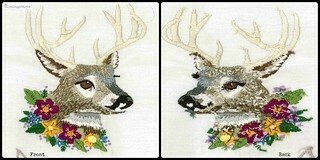 That is some FANTASTIC stitching! Amazing work! Off to check out her blog now!